InPro Corporation has introduced InPro℠ Interiors, a complete all-in-one service for the installation and ongoing maintenance of its products. The new service targets facilities in the healthcare, senior living, hospitality, and education sectors. InPro℠ Interiors is a new turnkey interior installation and maintenance company for facilites, including hospitals, nursing homes, schools, resorts and hotels. "We want to make the renovation and maintenance process as hassle-free as possible for facility owners and managers," said Eric Ziegler, general manager. InPro Corporation has introduced InPro℠ Interiors, a complete all-in-one service for the installation and ongoing maintenance of its products. The goal is to take the burden off facility managers and staff wanting to renovate and maintain their interior. The new service is backed by InPro Corporation, the nation’s premier manufacturer of building products used in the healthcare, senior living, hospitality, and education sectors. InPro Interiors will supply, install and maintain: cubicle track systems and cubicle curtains, window treatments and shades, shower curtains, handrails, wall guards and cladding, door protection and signs. Headquartered in Charlotte, N.C., InPro Interiors is able to deliver product direct from the manufacturer, which means high quality, design flexibility and short lead times. The new service uses bonded and licensed factory-direct installers who work with a facility to plan and execute the installation. InPro Interiors is also offering a 12-month service agreement as part of the installation contract, meaning maintenance can be promptly done onsite. InPro is the nation’s premier manufacturer of building products, including door and wall protection, decorative surfaces, expansion joint systems, cubicle track & privacy curtains and signage & wayfinding. InPro products are used in the healthcare, senior living, hospitality, and education sectors. The company leads the industry with the first biopolymer wall protection – InPro’s exclusive G2 Blend® made from BioPolyPETG+® material containing both a biopolymer and recycled content. InPro is a proud participant in the UPS carbon neutral shipping program. 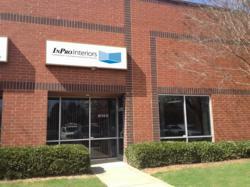 For more information on InPro Corporation, visit http://www.inprocorp.com, or call 800-222-5556.